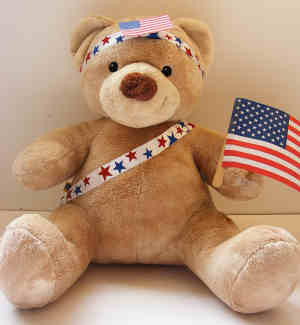 This teddy is supporting the American team! 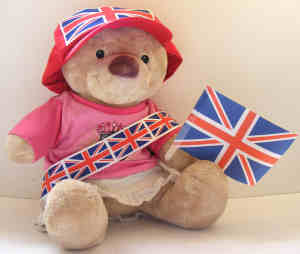 Get your teddies ready to cheer for their teams! 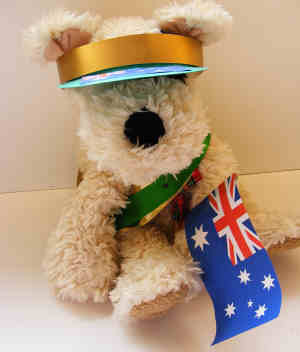 This teddy has one of our Olympic printables as his badge and will be supporting the red team in our own Olympic Games event. 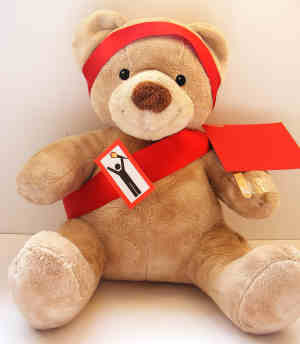 Start by creating a sash for your bear by making a loop of ribbon long enough to slip around your toys body (resting on one shoulder). Join the loop with either a safety pin, fabric glue or a couple of stitches. Make a hair band with another length of ribbon. Join the loop with either a safety pin, fabric glue or a couple of stitches. 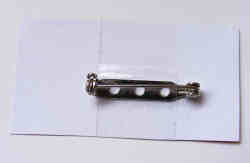 Cut out the badge and tape a safety pin to the back. Pin the badge on to the hair band. To make a flag, cut out a rectangle of coloured paper (or draw you own flag) and tape it to the popsicle stick. Tape the flag to the toys hand. 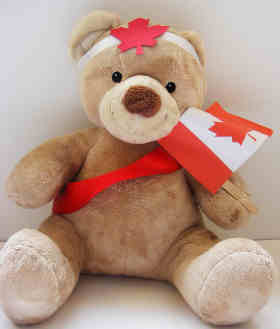 For our Canadian teddy, we made a sash from red ribbon, and a head band from white ribbon. Cut out a maple leaf from red card (or cut one out from our Canadian maple leaf printable), tape a safety pin to the back to make a badge and pin to the centre of the headband. Finally, add a Canadian flag. Perfect for Canada Day too. Paper chains aren't just for Christmas! We've made these patriotic paper chains for the Diamond Jubilee and the Summer Olympics 2012, but you could change the colours to suit all sorts of patriotic occasions.